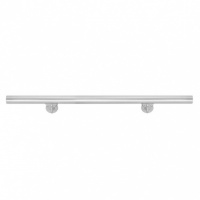 We offer two diameter pre-assembled stainless steel handrails off the shelf. These are made from high grade 316 stainless steel. 316 grade stainless steel is designed to live outside in the elements.